Newsletter | Kathy & Co. "More Than Hair"
Hello all! It’s been awhile since my last newsletter but I’m so happy to be back on track! This is the time of year when hair gets a little testy! With the harsh winter, the dryness of the furnace and blow-drying… it can be unmanageable to say the least. For me, my favorite service to help control and correct it is Brazilian Blowout! It is the only smoothing treatment that can be customized to keep curl, lose frizz or to achieve a sleek and straight result. Known for significantly reducing drying time for up to 12 weeks, a major benefit of this treatment is that it is finished at the salon with no “down time”. This means you can leave the salon and immediately wash your hair, exercise, put it in a pony tail or clip without having to wait days to do so! The first time I had it done I got caught in the rain and it did not go back to frizz like it usually does! That really sold me! 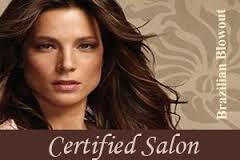 If you need a color service it can be done the same day before Brazilian Blowout. Otherwise, you’ll need to wait 2 weeks before coloring. The service takes about 80 minutes. Also there is a Split End Corrective Preventative Treatment that can be done anytime, it doesn’t take much extra time but rebuilds and fortifies weakened fibers. Your hair will shine and you will still have hair volume but no frizz! Sounds like a miracle right! It is! If you’re interested make your appointment, you won’t be sorry you did! Enjoy this beautiful season and I look forward to seeing you soon! Call for an appointment: 586.468.7131.